Wednesday Wrap: New HTC One, Pro-Ject turntable upgrade, Ultra HD alliance | What Hi-Fi? A date for all smartphone enthusiasts to pencil in your diaries, an upgrade for owners of Pro-Ject Debut Carbon turntables and a new Ultra HD alliance – here's all the news in brief from What Hi-Fi? 's Wednesday Wrap. 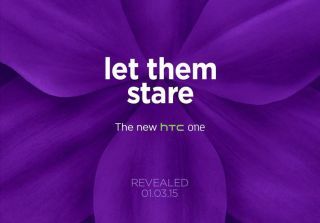 It's Taiwanese smartphone manufacturer HTC that gets our latest round-up started, with the news that its brand new flagship device for 2015 is now a matter of days away from being unveiled – in fact, 11 days is the wait. If you're the owner of a Pro-Ject Debut Carbon turntable, the manufacturer has now announced a new power supply upgrade and speed control device with you in mind: the Speed Box DS Strobo. It's not just Debut Carbon turntables that it'll work with; it can work with any Pro-Ject turntable that has a 16V or 230V AC motor. It's priced at £199 and allows for automatic switching between 33, 45 and 78 rpm records. Japanese tech giant Sony is reportedly looking to position itself at the forefront of the Ultra HD 4K TV revolution, with DigiTimes suggesting the company is looking to form a new alliance called the IP Life Consortium. Cisco and German company Rohde & Schwarz are rumoured to be among those who will join the consortium and look to boost Ultra HD video broadcasts – something that will help TV stations set up 4K infrastructure. A nugget of useful news has reached us from The Verge – if you're a Google Play Music user and an iPad owner, that is. And it comes in the form of an updated app that's built for the iPad. Both the iPad and iPhone versions of the Google Play Music app have made use of the Material Design language, with new artist and album pages; immersive Now Playing design; and a range of smaller visual upgrades too. Amazon's move into live TV streaming continues apace in the US with the news that the number of services and channels it offers has now increased five times since its April 2014 launch thanks its latest additions. Sling TV, the newly-launched over-the-top online streaming platform, is one of the latest services to go live on Amazon Fire TV. It is joined by Fox Sports Go, TED and others, though only for those in the US just now. It seems as if the worldwide pay-TV market remained in rude health during 2014, with the sector expected to grow 5 per cent in 2014, taking the total number of subscription numbers up and over 924.4 million. This growth has been driven by Asian-Pacific and Latin American markets, according to industry analysts ABI Research. And it's also being boosted by video streaming services including Netflix and TiVo. Korean rivals LG and Samsung might have reported differing fortunes in the smartphone market last year, but it seems like there was far greater parity when it came to the global LCD TV market, according to TrendForce. New data has revealed that Samsung retained its place at the top of the pile, with a 22.8 per cent share of the global market – up from 21 per cent in 2013. LG came in second, up to 14.9 per cent from 13.7 per cent.